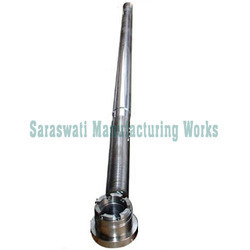 We are engaged in offering Tie Bars for Pressing Machinery to our clients. The offered bars are perfectly designed by using best quality raw material and advanced technology. With our in-depth information and experience we are manufacturing and supplying a wide assortment of Tie Bar along with the market norms. These Tie bars are designed by using latest technology and best crude materials under the strict observation of our professionals. Our offered tie bars are tested on our quality department to make certain these qualities from our side. These tie bars can also be taken as per clients needs at nominal rates. Driven to perfection, we are engaged in catering to the variegated requirements of the customers by bringing forth a wide array of Roller for Paper Mill Machinery. During manufacturing process, we only use best crude material and advance technology for its permanence and stout construction of our rollers. 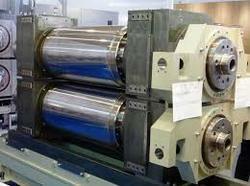 Moreover, we supply the whole range of rollers to our patrons after inspecting it properly on a variety of parameters. Our valued patrons can buy the offered range from us at affordable prices. 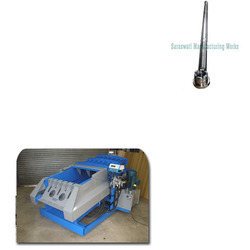 Looking for Tie Bars for Pressing Machinery ?